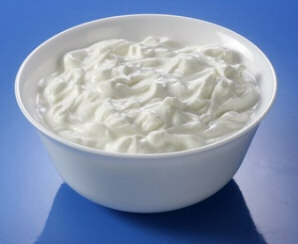 The word quark means "curd" or "cheese curd." It is a cheese made from pasteurized cow's milk. The milk is curdled through the addition of a bacteria. The curdled milk is stored at 70°F (22°C) for 24 hours to allow the milk protein to thicken. Then the liquid (whey) is drained through the use of a mechanical separator. The remaining solid (curds) is quark. Depending on the desired fat content and consistency of the final quark, producers then mix cream back in. In Germany, quark is available in 10%, 20%, and 40% fat levels. "Magerquark" is quark with the least amount of fat (10%). Quark is basically concentrated milk. It is high in protein, calcium, and phosphate. 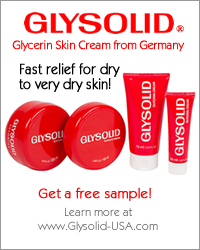 It is also used extensively in both cooking and baking throughout Germany. It accounts for half of the total cheese consumption in Germany. Quark will last until its expiration date (as stated on its carton) if stored in the refrigerator. Quark can also be frozen for up to 3 months. Defrost again in the refrigerator and stir it to re-incorporate any liquid.